Many people around us describe the value of HR software in a wonderful way. 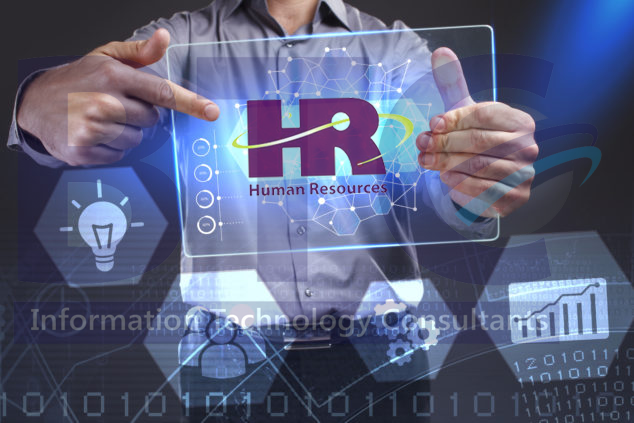 Development of a professional and dedicated team is a big challenge for most of the organizations and due to the changing environment, the role of HR managers has increased and in these specific circumstances, the value of HR software has maximized a lot especially in the UAE and other Gulf countries. The fact is that HR management is quite a difficult task and organizations have to spend a lot for making it useful. With the engagement of HR software in UAE, whether it is on-premises or on the cloud, makes the lives easier of not only the companies but also the HR managers. This system helps the management to make the entire process of hiring which starts from collecting resumes and ended in the selection in a smart way. It is also capable to keep on track all the related matters like performance of the employees, leave calculation, productivity and payroll system simultaneously. HR software presented by BTC in UAE is an end-to-end solution through which everything about the candidate is being managed. It helps the organizations to keep them away from the manual and repetitive work which was a headache before this solution. The recruitment process is one of those processes which has been a real headache in the past, but the introduction of HR software on the cloud has reshaped everything related to it. All the resumes can be collected through this software, and after that, screening, shortlisting, scheduling interviews, final reviewing, selecting employees and adding in the regular employees list have been just a process in which you have no need to take a lot of burden as everything has been added in the record even for future consultation. With the convergence of cloud technology, HR software in the UAE has become more effective as it has increased the intelligence of the system which is called artificial intelligence. In the past, it was not possible to monitor the activities of the employees during the working hours, but everything is now under control as you can check on it and take necessary actions immediately. The best thing is that your system will perform according to your instructions and you have no need to keep an eye on the computer all the time. HR Software will undoubtedly help you reduce administrative costs. Improving efficiency and productivity is also a way to save money in its own right, investing in a system may well negate the need to hire another HR administrator and the costs associated, such as recruitment fees, benefits, salary etc. Tracking and analysing data is a vital element of an effective HR department.This includes monitoring absence, gender pay gap statistics, company property costs and many other areas of the business.The larger your brand, the more information you will need to manage. With automated HR processes all of this data will become instantly easier to access, update and interrogate.Online data storage, tracking and accessibility will enable you to share your information easily and securely. When you have all the right information conveniently located at your fingertips, it also means that you’ll be able to make better decisions, for the growth of your business, since your decisions will be influenced by up to date and accurate information as well as insights that you can gather from your analytics and reporting. The ability to run system reports and also create them easily, ensures both HR and senior staff can retrieve any information they may require at any time, quickly and efficiently. The incorporation of HR software in the companies in UAE has made the entire process of human resource data-driven and strategic. It will insist you in such a way that every employee will be in front of your eyes and you can assign duties to every employee without wasting a single minute. It is also helping the employees to improve their performance with proper engagement and get actual and result oriented benefits because everything has become systematic and transparent so right recognition has become possible for all of them.